Poor Customer/Client services! Complaint sent to compliance@fxpro.com is being ignored. No response whatsoever. There is a well described procedure for complaint but FxPro is not following it. Complaint sent is supposed to receive a response (at least an acknowledgement of receipt of the complaint) within 5 days and a special number. This is NATO (No Action Talk Only). Have chat on your Live Discussion, answer is sorry, we cannot give you an answer right now. Will let you know as soon as possible. This has been carried on for the last 4 months. What do you think I can do? Please advise. If you see anyone defending this scam broker, you should know that they probably work there. No winning trader wastes their time & energy defending their broker online. What does a trader have to lose if other traders complain about their broker?? I make money with some brokers but I dont defend them or even try to, simply because its not my problem. I am a very profitable good trader with multiple brokers. One of them is FX Pro which I have used for the last 3 years. I have seen & experienced all their scams. One test I have done on several occasions is to open similar small positions with FX Pro & two other brokers at the same open. The FX Pro trades usually result in losses while those with other brokers make profits. I have seen Re-quotes, Platform freezing & I have seen “No Connection” windows popping up when I try to close winning positions or make a winning entry. Spreads can sometimes be 3 times my profit target. I have seen 3500 pip spreads on my winning trades meaning some trades never move far enough for both the “ask & bid line” to cross the profit target. Remember that it is the “bid line” which hits the Stop Loss & Take Profit lines. The bid & ask line difference is the spread but the bid line comes hidden on their platform’s default setting. So you dont see it until you actually go into the platform’s settings to enable it. This is actually a good way to identify Market Makers because their platforms usually do not show the bid line on the charts & you have to manually enable it. I finally stopped trading with them when they started playing games with my withdraw requests. At first I did not have any problem withdrawing my money but as I became more consistently profitable, I started seeing delays in my money getting to my bank account. The last request was never processed for almost a month & they kept telling me that they had a problem with their card processing company. So I asked them why they were not sending emails to all their clients about this problem as they usually send out emails about any little changes. Considering not being able to withdraw money was a big issue, I would’ve seen other clients complaining & panicking about it on forums. I told them they were clearly lying to me & I got my money the very next day. Traders need to be aware that FX Pro pretend to be a real broker but they are not. They are a Market Maker & they are not connected to any external exchange. They admit in their contract. The problem is, most traders dont read contracts from brokers. I SUGGEST YOU READ THE FX PRO CONTRACT WHICH THEY EMAIL TO YOU WHEN YOU OPEN A LIVE ACCOUNT. YOU WILL FIND THAT IT IS THERE IN BLACK & WHITE WHERE THEY BASICALLY CONFESS ABOUT NOT BEING A REAL BROKER & HOW THEY INTEND TO RIP YOU OFF. And remember again that anyone you see defending this scam broker, is probably employed by them. They have a huge marketing & PR department which employs people to make them look genuine & legit. It is all a big professional scam. Beware of FxPro and do not trust them anytime. My name is Florian and I am a LIVE account holder with FxPro since October 2016. What I use for trading is a self-made robot, which was extensively forward tested through DEMO accounts, on multiple brokers, as well as back-tested “A LOT”, in order to optimize settings and find the right balance. The robot is built in full compliance with any specifications given by FxPro and/or Spotware, which are the providers of the cTrader/cAlgo platform. On 21/03/2017 02:37:33.403 , my account suffered an unexpected and totally unjustified loss of 2113.22 USD. Immediately I raised a ticket with FxPro, which dismissed the case due to the fact that actions were initiated by my robot! I analyzed and over-analyzed every aspect of the trades, and I couldn’t find any reason on earth why my robot started the closure of the orders. Up to then I had trusted the broker to be a serious one and above all one that treated clients fairly and responsibly. I understood the hard way this was not he case!!! So I started working on my robot in order to log a snapshot of the open orders status(es) prior to closure in order to better understand why this was happening. While I was still working on the robot, it happened again on 07/04/2017 01:15:08.787. This time, due to the fact that I started limiting my new trades, the loss was of 187.04 USD. My robot works on ticks, and its closure actions are based on the reported net/gross profit values of the open orders. It happened again on 10/04/2017 04:04:59.136, with a loss of 275.95 USD, but this time I had my own logs, and was not relying on FxPro analysis and total will to get rid of paying clients. Total loss to date 2,576.21 USD (DO NOT TRUST YOUR BROKER AND TRY TO PRODUCE YOUR OWN LOGS). What my logs showed was that the reported NET/GROSS profit values on the platform, for specific orders were reported as 0 (zero), and as such my robot acted based on INCORRECT/FALSE information received from FxPro. I took my case up to the Compliance department of FxPro (Ticket #1638242 and Ticket #1686856 , Ref. No. : EU20170013 Account No. : 8102298 Platform: cTrader), but again they dismissed the case as unable to reproduce it and they didn’t have other similar reports. Furthermore, by mistake they forwarded me some of their internal communications, showing a total lack of respect for paying customers and a total stance of negligence towards issues being raised, quoting – “Client replied again insisting it is. What should we do now with this, you think we should tell him Spotware confirmed its not from their side, we have no responsibility etc etc and if he pushes he can be escalated to compliance?”. ALL OF MY EMAIL EXCHANGE IS AVAILABLE FOR REVIEW BY ANYONE WILLING TO. My robot code, excluding orders opening strategy, is available for review too. Beware of FxPro and do not trust them anytime. Take extra care to have your own set of proof for any issues, although as in my case it will not be considered. I have gone through all of the available escalations with FxPro, and now its time to see how the regulators will behave. Moving forward to CySEC. I tried a small a/c with Fxpro UK recently and I feel disappointed. The spreads on real a/c are higher than those on demo one. What is more, you can see good spreads on real a/c but you can hardly trade them because they appear in only 0.25 second or so. For instance, you see the spread 0.8 on eurusd and you click the sell or buy button, but right at that moment that spread 0.8 is already replaced by the next that is usually double or even triple, and as a result, the actual spread you get is 1.6 or 2.4 or so!. Because of these, I don’t trade regularly with them but give priority to my other broker that offers better spreads stably. However, I still hope they will soon improve their spreads otherwise I fear they will gradually lose their current clients to their competitors. P.S: I will feedback if they do improve as expected. Those guys are thieves with the mask of a reputable broker. During the night before the Turkish referendum, they widened the spread of USD/TRY from 12 units to 20, 50,80, 150, 200 and finally 350 units (!!!) causing a fake movement even 4 hours BEFORE market close!! I am a client on more than TEN other brokers and the maximum offset between BUY and SELL prices was 25 up to 115 units the same time for the same pair. The Same thing is happening with many more instruments. And when they receive emails about this, they Block your accounts. Once I thought that Fxpro is a reputable and trustworthy broker. I had even left a five-star review. This broker turned to one of the most tricky and BAD brokers ever. 1) Their servers (maybe intentionally) got slower and slower during critical times for trading (like news or near market close), inflicting huge slippages with silly requotes, leading the trades to a catastrophe. 2) They use a very sinister spread widening strategy (BEYOND any logic), inflicting fake movements to specific trading instruments on certain times (I can present very analytical evidence). One example: they widen the SELL and BUY prices of natural gas, from 7 units -which is already a relatively high spread – to 10,20 or even 30 (! ), every night, making it go up and down by almost 0,40 %, with no other broker doing the same thing! 3) They are lowering the leverage or even block the accounts of the clients who are profitable finding ridiculous excuses like night trading, NBP abuses etc. 4) when they notice that one client understand all the above, they block his accounts and stop responding to emails. From a client who someday trusted this company! One withdrawal made up to now, it was smooth and fast (bank transfer), accompanied with confirmation emails. Efficient. One area that merits attention is the fact that US indices do not trade 24/24 hours like futures. This is not good for risk management. This should be improved. Overall I agree with the all review below written by ‘fx1mil’. So, agree on that – FxPro could make a training section available for beginners. I think the recent changes in leverage rule (on offer) will not affect my trading style, as I work with ‘cTrader’ platform and leverage is always used responsibly. In the final account, considering that I have been a customer for only 4 months, I would give them 4.5 stars if that were possible. First off, let me point out that I am reviewing FxPro UK Limited and NOT FxPro Financial Services Limited in Cyprus. Yes they are both part of the FX Pro Group, but my understanding is the two brokers have different policies (from reading both), in the conflicts policy and order execution policy. I assume the customer service people are also different. This may result in different experiences depending on which Fx Pro your broker is. Let me be clear, there is nothing concerning here…it’s up to you to read the disclosures and understand them! I’ve been trading for about 4 years now. I tried 3 different brokers from the top rated selection, and was left very unhappy from the experience. I then decided to ignore the negativity from posters and reviewers on various websites (including this one) about FX Pro and give them a try. 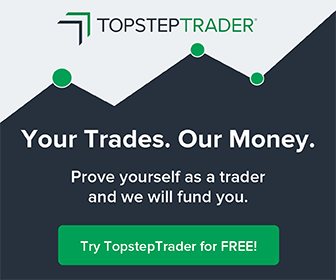 I use Ctrader and find it to be excellent. I have nothing but positive comments for the platform. Literally never had a problem. My suspicion about people complaining about slippage and server hang ups etc is that they do not have a stable or fast enough internet connection. Perhaps it is also an Metatrader problem…I don’t know. What I can say is FxPro UK and Ctrader has performed without flaw for me for years now. Perfect. Fast. Good communication and helpful staff. Excellent. Response times are quick. Live chat is helpful if there is a problem. I had one delay in my deposit showing up in my trading account, but this was just 20 mins compared to the usual 5 mins. I checked in live chat and they said it was a slight delay due to higher than normal processing and apologised. No problem. 90% of the time they have been perfect. Excellent. Deposits are usually in place and ready to trade within 5 mins, with the odd exception in high volume times. Withdrawals occur same day for me on FXPro side, and showed up within 3 days. Generally, I expect 3 days for processing…5 days max. FxPro perfomed as expected. In my initial period of trading, my stops got hit quite often, sometimes with 1 pip, and it created suspicion for me. Instead of blaming the broker like many seem to do…I educated myself a bit. It turns out my stops were being set in areas that the whole market is ‘hunting’ before a turn in the opposite direction. An amatuer mistake. After adjusting my trading strategy for this, I haven’t had a problem. Again, I hear people complain about brokers for this reason, and in some cases it may be true, but I’d wager most of the time it is just inexperience and trader error to blame. Another gripe many traders have is that their stops get hit during low liquidity periods. Well, what do you expect…don’t trade during these times. I haven’t experienced any of these problems with Fx Pro, even when trading at the start of the Sydney session when liquidity is very low. Excellent. I stick to the major pairs, but dable occassionly in Gold and cross pairs. The range is more than enough for me. A good economic calendar with filters. Market updates with good live commentary on movements from FXPro Squawk. Access to autocharist and trading central for trade setups. This area is lacking a bit compared to other brokers. However, all the information new traders need can be accessed online for free. So I don’t see this as a negative really. It would be an unneccassary duplication. If you don’t know all of that stuff already, eg how to do proper technical analysis, then you probably shouldn’t be opening a live account. Overall, I can’t fault FXPro UK. I gave 4 stars because giving 5 would require something above and beyond expectations. What I expect is transperancy, trusworthiness, good customer service, a stable platform, fast execution, and hassle free trading. I got exactly this, and thus 4 stars well earnt. I can recommend FX Pro UK to new traders and those with several years of experience. they so slow. at the terns they say your job is done at 1 workday. it is a big lie. i am waiting for nothing. the live chat has nothing to do. they just say hello’ we will work on it but nothings happens.